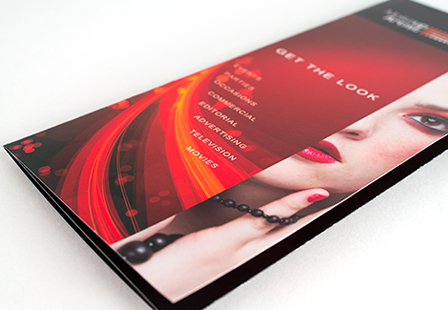 Make a statement and demand attention with custom brochures and printed flyers. Hand them out while attending a business conference, trade show, or place them on the counter at checkout in a store. The possibilities are endless as there are a variety of ways to use these versatile, affordable, and practical marketing tools. 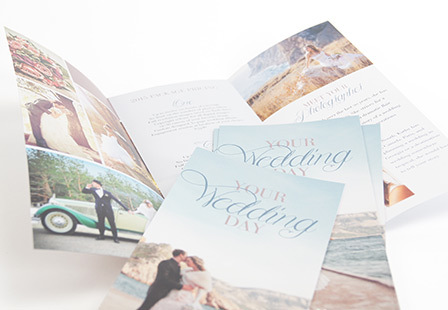 Whether you are using them as event flyers or as business brochures, we can help bring your message to life. Other used include menus, realtor listings, recipes, resumes, maps and more. Choose from a large selection of sizes and folding options such as the Tri Fold, 4-Panel fold, Z Fold, Half Fold to meet your business and marketing needs. Printed on premium 100LB dull book stock. Please Select 3.67" x 8.5" 4" x 6" 4" x 8.5" 4" x 9" 4" x 11" 4.25" x 5.5" 4.25" x 11" 4.25" x 12" 5.5" x 8.5" 5.5" x 17" 6.5" x 9" 7" x 8.5" 7.5" x 8.5" 8" x 9" 8" x 10" 8.5" x 11" 8.5" x 14" 9" x 12" 9" x 16" 10.5" x 17" 11" x 17" 11.5" x 17.5" 12" x 18" 17" x 22"